Late June was a great time to be a cannabis consumer in California. A bunch of dispensaries across the state were in a mad rush to liquidate their old supply as Prop 64 regulations went into effect on July 1. That meant CRAZY deals on great products. 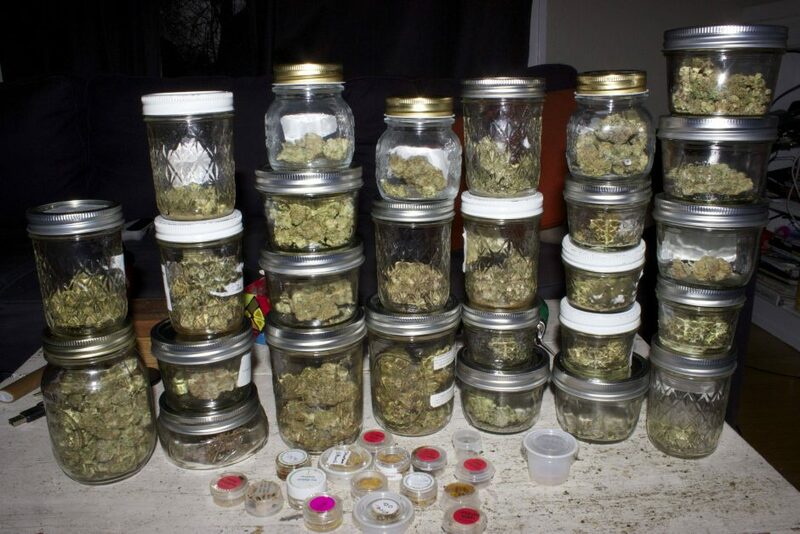 Yeah, I’m talking $200/ounces of Alien Labs crazy (for the uninitiated, this would usually run you $450+). I took advantage of the deals and scooped an ounce of their Wedding Cake, which is consistently one of my favorite strains from the Alien Labs crew. This batch was beautifully grown and was dripping in sweet, funky terps. It took me a long, LONG time and smoking a bunch of mediocre bud to find a batch of Zkittles that lived up to the hype. When I finally did find a proper batch it was 100% worth the hunt. This batch of Zkittles from IC Collective is up there with my favorites. The buds are more beautiful than your average batch of Zkittles, smell delicious, and coat your mouth with that unique combination of fruity, sweet and gasoline/funk flavors. I’m currently staring at my empty jar of Zkittles while I lick my lips. Northern Emeralds grows some fire Sapphire Kush and Titan OG, so when I saw this Emerald OG – a strain that I hadn’t tried from them yet – I didn’t hesitate giving it a go. And just like the two aforementioned strains, this one is up there on the top shelf. 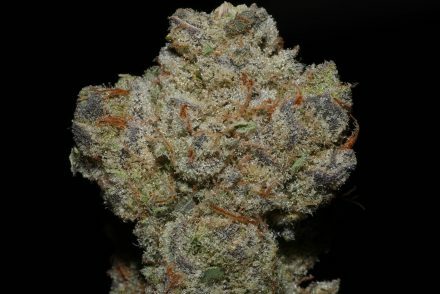 I loved the chunky OG bud structure and flavor profile that, to me, was very OG-forward with gas, pine and funk. 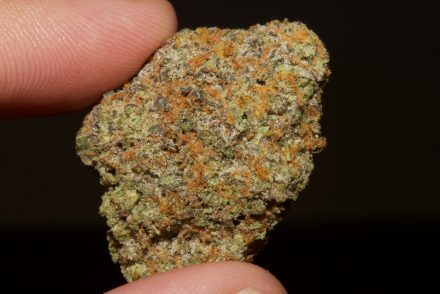 Garlic Cookies is a special type of funk. It’s putrid. It’s offensive. I’ve heard it described as what “the inside of a bum’s pocket” smells like. It’s also mouthwateringly amazing. Dr. Ladybug and his crew did a killer job distilling the acrid GMO funk into a gorgeous batch of rosin that smells and tastes next level. If you can’t tell from my IG feed, I’ve been on somewhat of a 710 Labs kick lately. After all, they do make some of the most fire hash available in San Francisco these days. This Lemon Meringue was no exception. The smell and flavor are heavy on sweet gassy funk from the strain’s Cookies & Cream heritage and I enjoyed the sand-like consistency that remained pretty stable even after coming in and out of the fridge a few times. Over the course of July I tried 5 or 6 different flavors of 710 Labs bubble hash and the standouts were definitely the Lemon Meringue (above) and this White Tahoe Cookies. This one was starting to grease up just a little in the jar and oozed with sweet funky terps. Finished it off as I typed this blog post, so good!